This wine has intense flavours of lime through to white peach and Granny Smith apple. 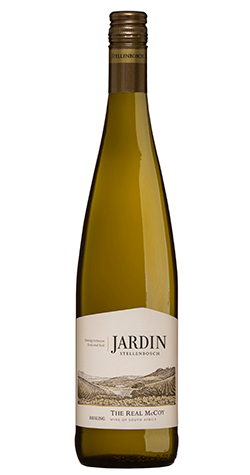 The German clone grapes were vinified and once the perfect bal-ance between sugar and acidity was reached, the fermentation was stopped to retain a hint of natural fruit sugars. Intense flavours of lime through to white peach and Granny Smith apple. A superb accompaniment to the lighter spectrum of Asian cuisine.. The Riesling vineyards were harvested at between 21.6°B. -22°B. The grapes were pressed in a pneumatic press with the free run juice being separated from the press fraction. After 2 days of settling in tank the clear juice was racked off its lees and inoculat-ed with a French strain of yeast. Cold fermentation at 15°C oc-curred in stainless steel tanks until the perfect balance between the Residual Sugar and acidity was reached. The fermentation in this vintage was stopped at about 0 ̊B to retain a hint of natural residual sugar.